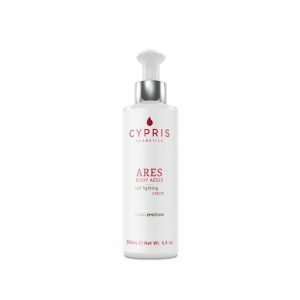 What it is: Moisturizing body emulsion with a soft and pleasant texture. 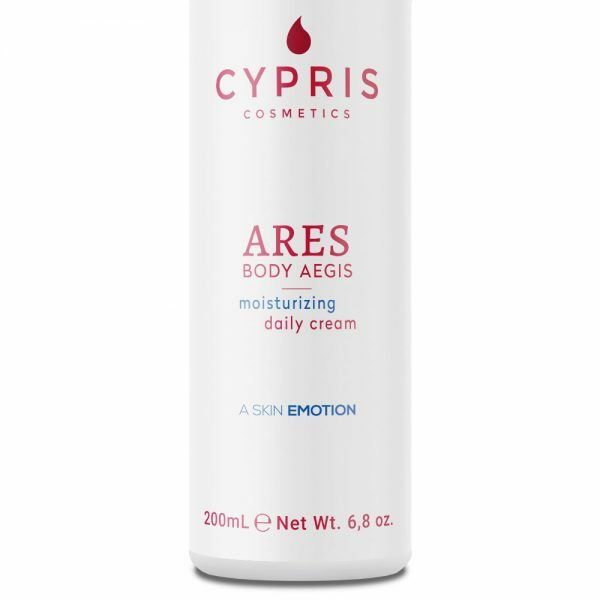 What it does: Ares Body Aegis Moisturizing Daily Cream performs hydrating, nourishing and soothing action. Learn more: This exclusive formulation contains calendula, chamomile and pink rose oil. Apply to the affected area and massage with circular movements until full absorption. Aqua (Water), Caprylic/capric triglyceride, Cetearyl alcohol, Glycine soja (Soybean) oil, Glycerin, Propanediol, Ethylhexyl stearate, Cetyl alcohol, Calendula officinalis extract, Chamomilla recutita (Matricaria) extract, Rosa moschata oil, Tocopherol, Panthenol, Tocopheryl acetate, Helianthus annuus (Sunflower) seed oil, Glucose, Sorbitol, Sodium glutamate, Urea, Glycine, Hydrolyzed wheat protein, Lactic acid, Sodium PCA, Tetrasodium glutamate diacetate, Sodium polyacrylate, Ceteareth-20, Parfum (Fragrance), Dimethicone, Phenoxyethanol, Ethylhexylglycerin.